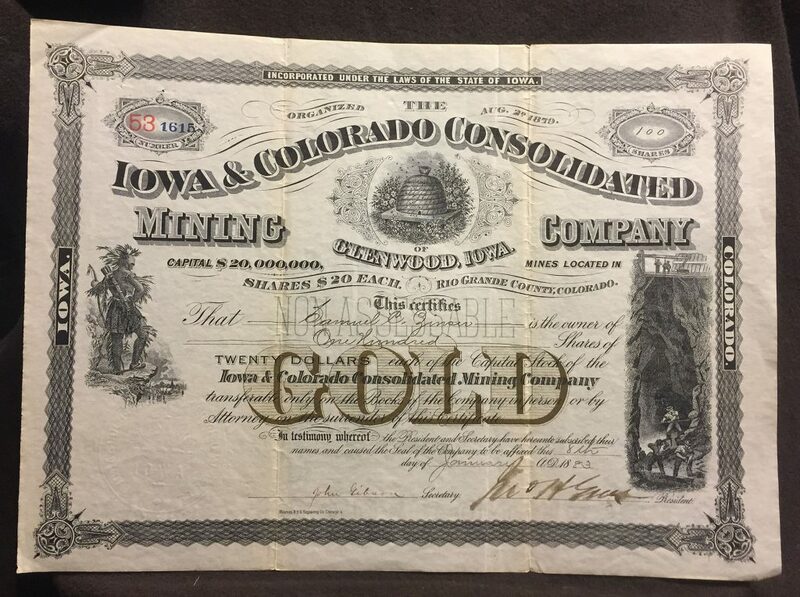 The Iowa & Colorado Consolidated Mining Company, stock certificate # 53 1615, issued January 8, 1883, on one of the major gold mining operations in the Summitville District of Rio Grande County, Colorado. 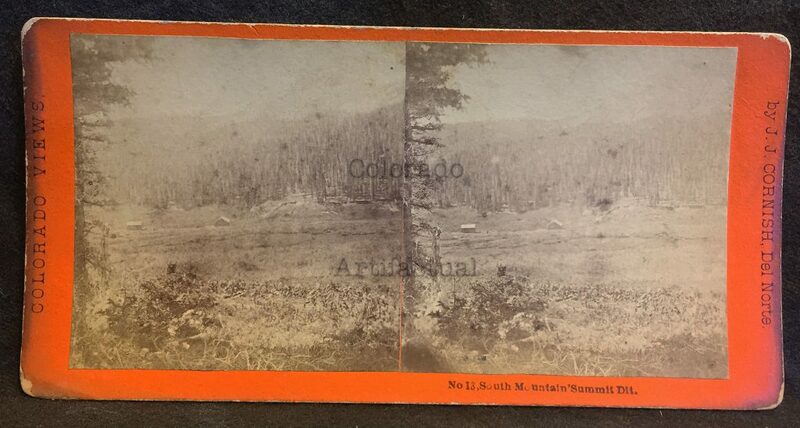 Looking West, Summit District, Colorado, 1882. J. J. Cornish stereoview. 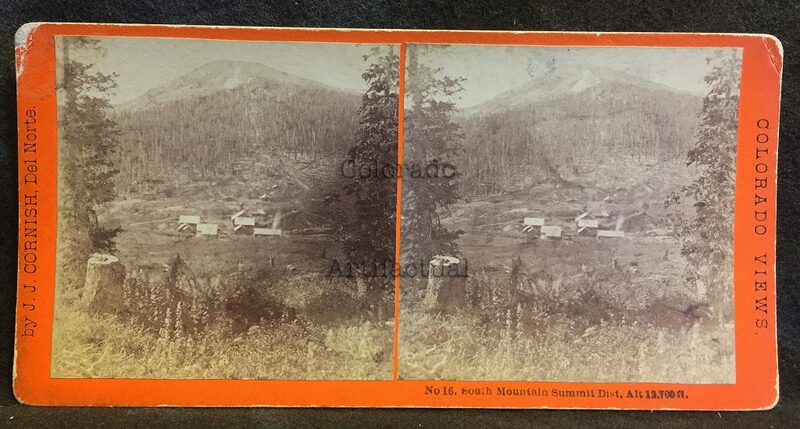 South Mountain, Summit District, Summitville, Colorado by J. J. Cornish, circa 1882. 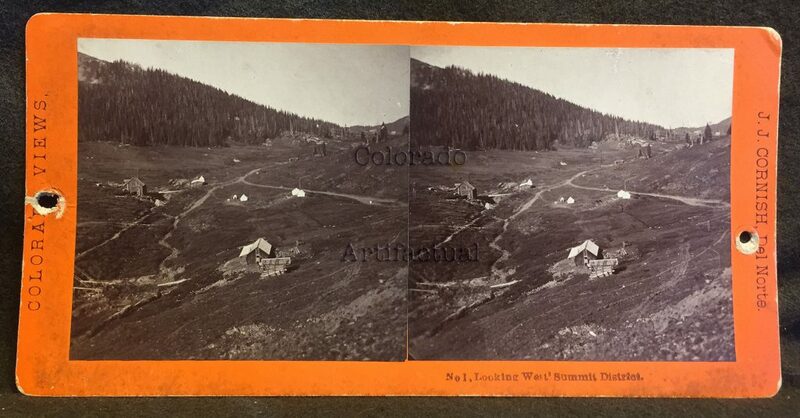 J. J. Cornish stereoview photo, variant of #16: South Mountain, Summit District, Altitude 12,700 feet. Little Annie and San Juan Mill’s East Side. 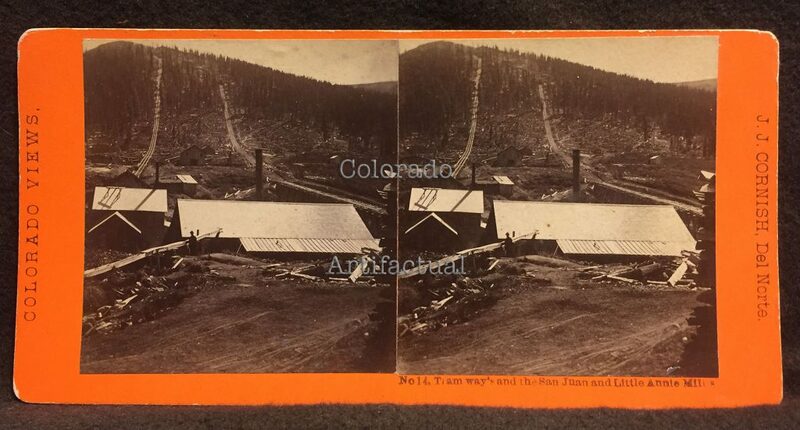 J. J. Cornish stereoview #16. Circa 1885. 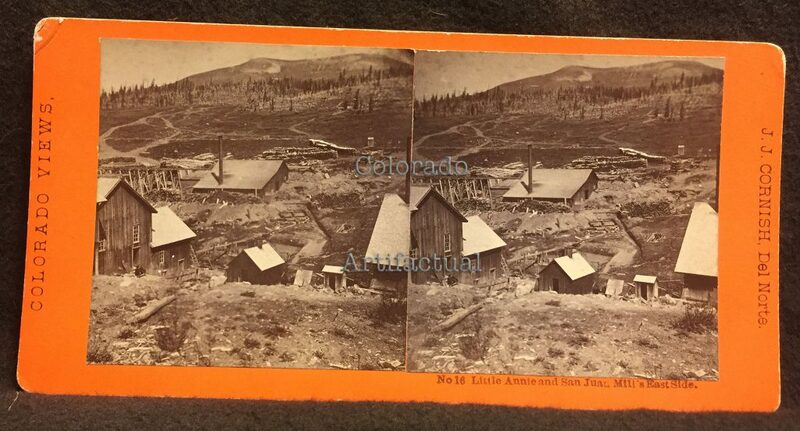 J. J. Cornish stereoview #17: Looking East from above Mills, Summit District, Colorado. Circa 1882. 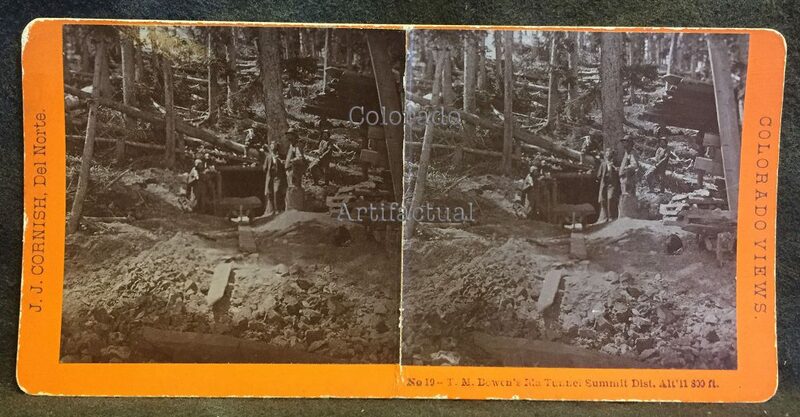 J. J. Cornish stereoview #19: Thomas M. Bowen’s Ida Tunnel, Summit District, Colorado. Altitude: 11,800 feet. 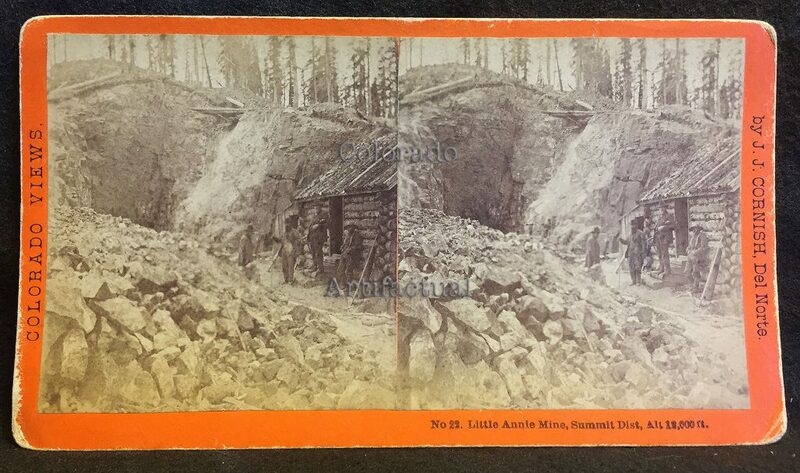 J. J. Cornish stereoview #22: Little Annie Mine, Summit District, Rio Grande County, Colorado. Altitude: 12,000 feet. Circa 1882. 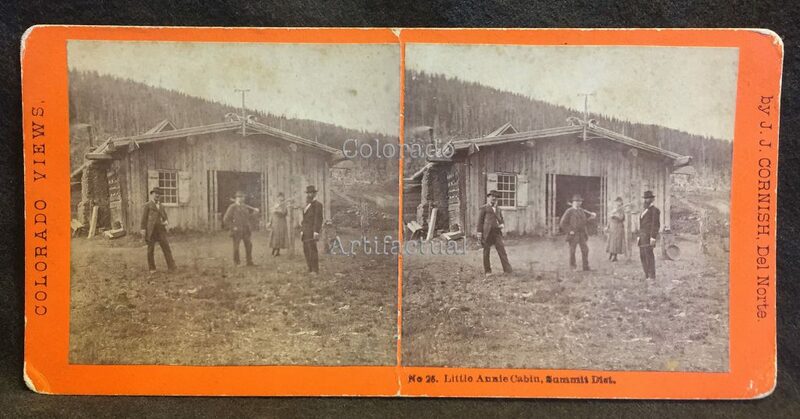 J. J. Cornish stereoview, Del Norte, Colorado, #26: Little Annie Cabin, Summit District. Circa 1882. 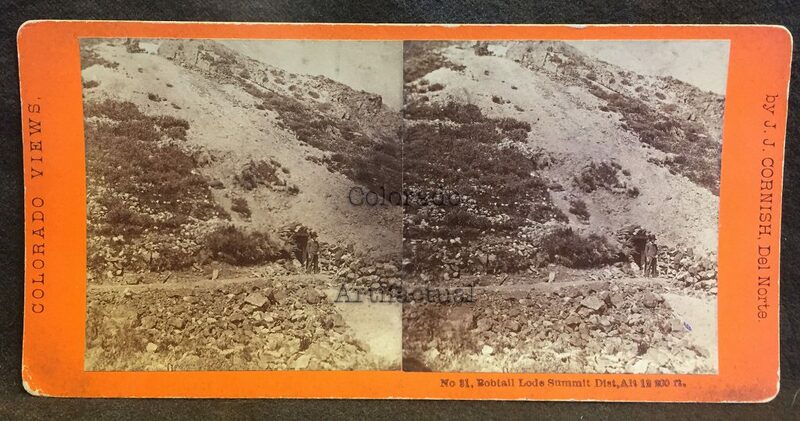 J. J. Cornish stereoview #31: Bobtail Lode, Summit District, Altitude, 12,200 feet. 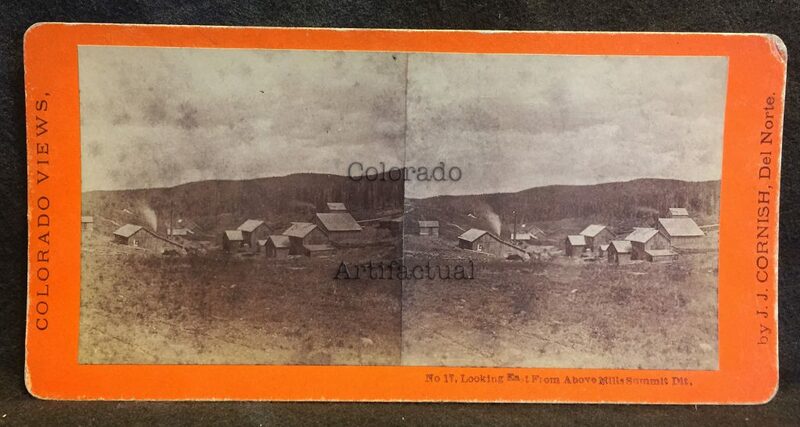 Colorado, circa 1882. 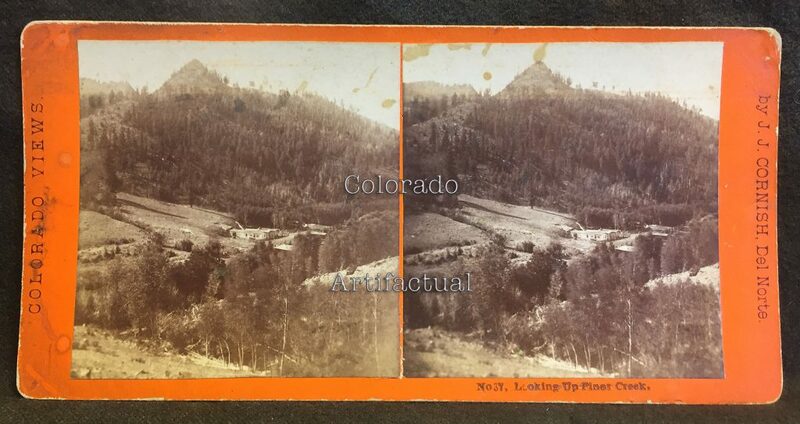 J. J. Cornish stereoview #37: Looking up Pinos Creek, Summit District, Colorado. Circa 1882.